The project was up for consideration in 2016 with a take from “Veronica Mars'” Rob Thomas. The new pitch came from Shondaland producer/writer Heather Mitchell (“Scandal,” “Grey’s Anatomy”) but Thomas will still be involved, although from a distance as he’s working on the Veronica Mars reboot. “The Lost Boys” is one of four projects the CW selected to make a pilot episode, all of which come from established properties. The other series are a Jane the Virgin spinoff, a “Riverdale” spinoff, and a Nancy Drew series. After the pilot is complete, the network decides if the series will or will not go forward. Teen properties from the 1980’s continue to be a fertile ground for TV reboots. 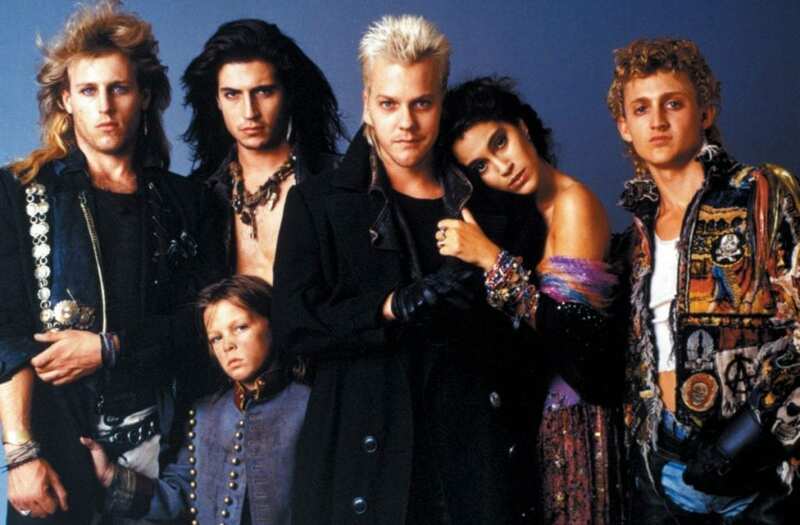 “The Lost Boys” joins “Less Than Zero” for Hulu and “Mr. Mom” on Vudu. “Heathers” was made as a series for the Paramount Network but was scrapped after completion because of sensitivities to school shootings. Of course, “Teen Wolf” was a huge hit for MTV. As the world of “content” — network , streaming and digital — gets more and more crowded, networks and platforms are finding it harder to cut through to get noticed, and thus, people to watch. If they find an old, beloved property, they don’t have to then educate a potential viewer what a show is about and then convince them to watch. In other words, most of adult America knows “The Lost Boys” as an edgy teen vampire movie with cool music, so it’s less about convincing them they’ll like the subject matter, it’s more about letting the audience know when to tune in. Next post: Go DIRTY DANCING with Your Baby this Valentine’s Day: On Us! Ann Bowyer on THE KARATE KID is Back & We’re Giving Away Tickets! David Parent on It’s a Bird! It’s a Plane? It’s FREE TICKETS to SUPERMAN! Bradley Blodgett on THE TRANSFORMERS: THE MOVIE Back in Theaters for One Night & We Have 5 Pairs of Tickets to Give Away! © 2018, 80's Movies. All Rights Reserved.